Just as global regimes such as the Basel III net stable funding ratio (NSFR) and International Financial Reporting Standard (IFRS) 9 are being rolled out, Asia Pacific’s regional regulators are stepping up the pressure on banks by intensifying reporting requirements and moving more aggressively to address governance failures. Thankfully, at the same time, emerging technologies, such as RegTech, and business models are equipping institutions with the strategies and capabilities needed to address escalating regulatory reporting requirements, which have become a region-wide reality. For example, the Monetary Authority of Singapore is completely overhauling the key financial position report, MAS 610, for the first time in years to glean more data points and details from banks. The changes will impact all supporting forms and require multiple new attributes, calculations and aggregations. Regulators in Australia are undertaking a similar process with the updating of core reporting forms such as ARF 320, 391 and 392. Hong Kong, meanwhile, has moved to introduce additional liquidity reporting obligations. Reporting regimes in Indonesia, Malaysia and India are likewise undergoing updates or enhancements. These reforms are part of a regional, and global, environment of increased regulatory scrutiny. Regulators are monitoring institutions more closely and imposing tougher penalties - including criminal charges against senior executives - for compliance breaches and reporting failures. Recent global examples include the US Financial Industry Regulatory Authority (FINRA)’s decision to fine Deutsche Bank Securities $6 million for submitting inaccurate and late trading data, and the UK’s Financial Conduct Authority hitting Merrill Lynch with a £13.2 million fine for transaction reporting failures. In Asia, hot on the heels of shutting down BSI Bank for breaching anti-money laundering (AML) requirements, the MAS has vowed even stronger action against regulatory lapses, including more intrusive inspections and ‘naming and shaming’ rule breakers. This points to another troubling truth for regional financial institutions; with regulators on high alert and public opinion of the banking sector already at a low ebb in the wake of the financial crisis, banks are more vulnerable than ever to reputational damage. Even if an institution can absorb the fines, the reputational fallout from a compliance breach could prove far harder to overcome. Compliance failures therefore need to be avoided at all costs -- easier said than done, when regulatory changes make compliance a shifting target. Despite the regulatory transformation sweeping the sector, many financial institutions continue to take a ‘tactical,’ largely manual approach to regulatory reporting. There is some comfort in sticking to established procedures, and manual spreadsheets are not without advantages; they enable business users, for example, to easily visualize and organize data. But this flexibility comes at a price. Freely changing or adjusting data, formulae and formatting heightens the risk of errors, inaccuracies or inconsistencies, and also makes establishing a clear audit trail difficult. This approach is also inherently limited in terms of extensibility and scale; as the scope of the spreadsheet is extended beyond its original purpose in response to new regulatory demands, the increase in data and complexity will quickly become impractical to manage manually. New regulatory realities argue for a more strategic, automated response. 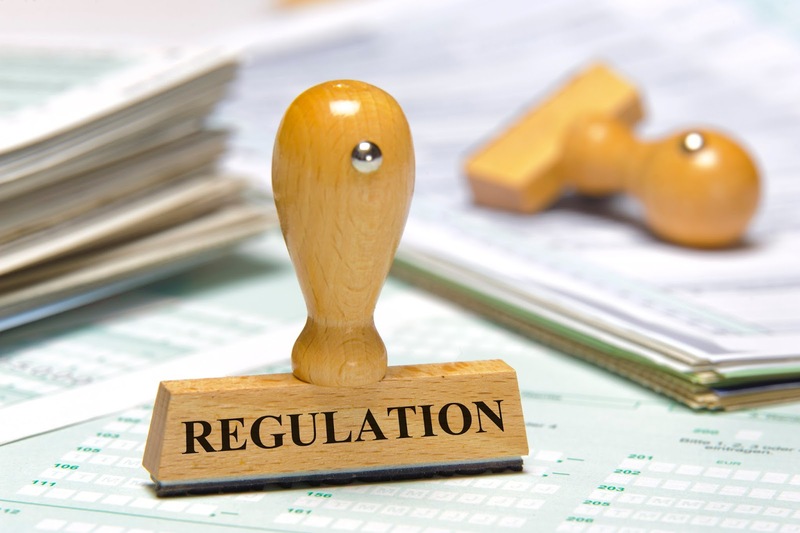 Investing in fully automated regulatory technology -- aka RegTech -- enables institutions to deal with local requirements around procedures like financial position reporting, while also readying them for incoming global regulatory ‘waves’ such as NSFR or the Common Reporting Standard (CRS). In an industry environment of spiraling complexity, this is the only means to avoid being caught out by wary regulators, and to attain the levels of internal transparency needed for consistent compliance. At Wolters Kluwer, we see encouraging signs in regional RegTech development and adoption, and evidence that regional institutions are starting to catch up with their global counterparts in terms of leveraging new technologies - particularly cloud computing, business process outsourcing (BPO) and Big Data - in their reporting models. The benefits of cloud computing and BPO have become better understood by the industry, and regulators themselves are also opening up to these solutions. Our research suggests that about 30% of regional financial institutions are now planning to leverage cloud-based technology and/or BPO for regulatory reporting in the near future, compared to none just three years ago. Their main objectives are to reduce costs and to better focus on their core business. Big data also promises to help banks manage the greater volumes and variety of data required under fast-developing regulatory regimes in a cost-effective manner. As promising as these technologies are, they will formulate just part of an approach to data collection and reporting designed for a new regulatory era. In the past banks relied on loosely connected systems to handle largely static data processing and compliance requirements. However these systems lack the flexibility to deal with the shifting standards and ad-hoc requests that characterize the current supervisory environment. This argues for a core regulatory reporting platform that is consistently updated to reflect changes in various jurisdictions; can delve into the full audit trails behind key calculations; and is capable of automatically generating the outputs regulators require. Adopting RegTech to centralise the data and automate the processes around compliance will help institutions to shift from a reactive approach to reporting requirements and regulatory change to a more strategic, forward-looking model. In addition, by providing a more unified, up-to-date view of vital data and workflows, RegTech can also boost the enterprise’s data ‘velocity’, enabling near real-time decision-making and offering insights into future trends through predictive and prescriptive data analytics. In this way regulatory reporting infrastructure moves beyond simply facilitating compliance to supporting sound decision-making and a stronger bottomline.